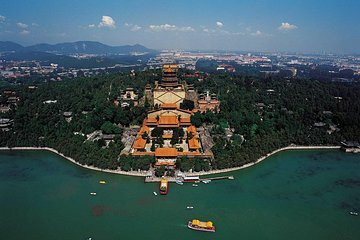 Få mest mulig ut av byens sightseeing på denne private omvisningen i Beijing, som inkluderer et besøk til attraksjoner som Himmelska Fridens torg, Den forbudte by, Himlens tempel med mer. Din guide vil gi grundig informasjon om hvert områdets historie og betydning og vil håndtere all transport, planlegging og logistikk, så du kan bare nyte turen. En deilig Peking Duck lunsj og båttur i Summer Palace er all inclusive. Guide Shan Shan is the best. So many famous sites in one day. April weather was perfect for touring. This was a great tour. Our guide Li was knowledgeable and professional. The sights were beautiful and the history was interesting. Two thumbs up. Our tour guide Collin did a great job taking us around to the major sites and avoided the crows. Only complaint was on the day of the tour, the Beijing half marathon was taking place so they changed the normal itinerary which caused us to go along time till lunch so we were starved. Otherwise the driver and tour guide did a great job. Highly recommended. We had an amazing tour guide ShanShan, she was so hospitable, knowledgable and we felt that she was part of our vacation. This was a great day in Beijing , we felt we saw the highlights of he city and given so much wonderful information. The private tour was the best choice I mad planning this trip, we were given information but could ask ShanShan questions and get information that I dont thing we would recieve on a group tour. ShanShan took us for an amazing lunch of Peking Duck and so much more. This is a must do in Beijing and if you can request ShanShan she made our trip very special. Of Heaven - my guide, Tracy, from WikiBeijing Tour Company, was awesome! Not only was she knowledgeable about the history and culture of the various sites we visited, but she was also respectful, thoughtful and so very kind. We exercised with the local people in the morning at the Temple of Heaven and watched them knit and play card games. Then we toured the Temple - such a beautiful place and a very special cultural experience for me. After that, we had a fantastic meal of classic Peking duck with noodles and tea for lunch. We ended our day together with a beautiful walk through the Summer Palace. Another fantastic site, made real by Tracy’s knowledge. 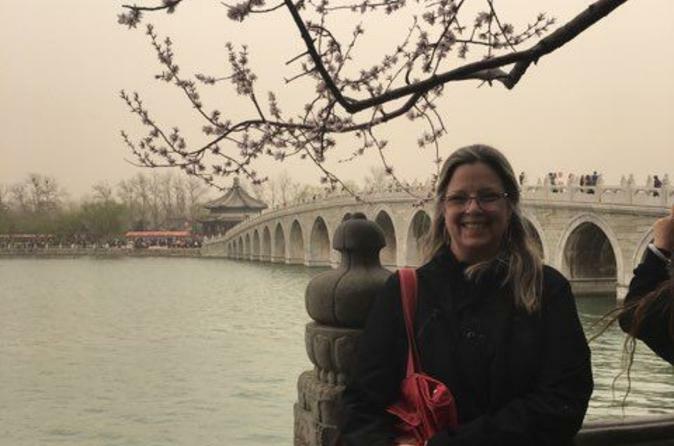 As a solo traveler, Tracy made me feel so welcome in Beijing. It was as though I was visiting the city with a close friend not with a paid guide. Our driver, Master Zhou, was also delightful! I would highly recommend this tour and Tracy as a guide to anyone! Our tour of the city was very pleasant with SELINA, our very nice tour guide, who shared her knowledge of the culture and history of Beijing and China as well as current information about China. Thanks for the experience Selina and to the Driver. My friend and I had an all day tour with Lili as our personal guide. We very much enjoyed and appreciated her thorough historic knowledge and perspectives. Lili was very personable and friendly and very attentive to our interests and comfort. She hosted and joined us for a very nice lunch during which she continued to share interesting perspectives on life in China and both recent and ancient history. One of the best local tour guides either of us have ever had in our travels. We highly recommend this tour. Our guide Angie was amazing. She is so knowledgeable about the sites as well so much Beijing history. I cannot recommend enough. Angie is incredibly kind and my daughter loved spending the day with her. 5 stars for sure. Angie and her drive Leo made our visit to Beijing such a memorable one. She even texted us when we arrived home to make sure our journey went well and we arrived safely. A perfect day with a perfect tour guide! This was absolutely the best tour I have ever taken. Our tour guide Carrie and our driver Mr. John made sure we had the most remarkable day in Beijing. They picked us up at our hotel early in the morning and dropped us at the Beijing airport at night. We had booked this excursion because Air China changed our flight connections which resulted in a 23 1/2 hour layover in Beijing. We didnt want to sit in the airport for that length of time. Carries english language skills are perfect and her commentary enhanced our sightseeing experience. We saw and did everything on the itinerary. We visited Tiananmen Sq , Forbidden City, Temple of Heaven, the Summer Palace and more. To get maximum sightseeing we delayed our lunch to dinner. Carrie and John took us to an amazing restaurant. The Peking Duck was my highlight of the dinner. After 4 or 5 duck pancakes I was stuffed with all the marvelous food. There was so much delicious food no one could finish it all. We cannot thank Carrie and John enough for providing us with a view of the highlights of Beijing. We will never forget them and the wonderful time in Beijing.